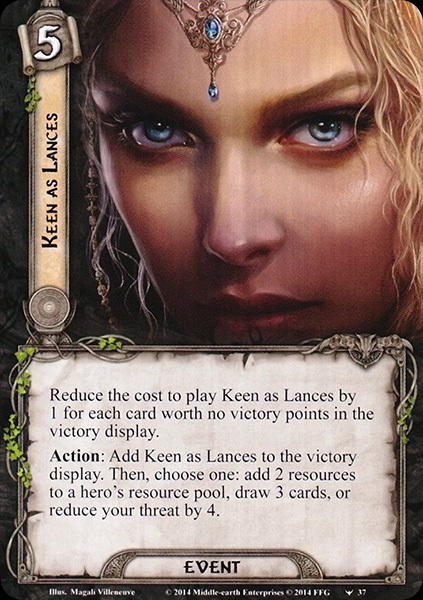 Reduce the cost to play Keen as Lances by 1 for each card worth no victory points in the victory display. Action: Add Keen as Lances to the victory display. Then, choose one: add 2 resources to a hero's resource pool, draw 3 cards, or reduce your threat by 4.